I’m usually all about kids’ art activities, but sometimes I stray. This time I’m talking DIY weed killers. I know, I know – it’s a far stretch from tempera print-making, fizzing water colors and Model Magic sculptures. But, if you’re here chances are that you’ve got kids. And, if you’ve got kids, you may just want something to handle the mess in your yard that isn’t filled with toxic chemicals. We spend a lot of time outside in the summer. Every year it seems like pulling the weeds turns into even more of a totally unwanted task. I sometimes joke that I want to spray the whole yard down and then cover up everything green with concrete. Sounds bad, right? Last year I gave up. The thistle had taken over and I just couldn’t keep up. Maybe if I had a few hours every day to devote to my yard I could do it. Or, maybe if I hired a lawn service it would all look pristine. But, neither of those are possibilities. So, when my husband suggested that I try this DIY weed killer recipe I figured that it couldn’t hurt. I would love to say that it’s 100 percent all-natural, but it isn’t. I did use blue Dawn dish soap (which obviously isn’t a naturally occurring substance). I kind of figured that if it’s safe enough to put on the dishes (that my family eats from), then it’s not in the same toxic category as plant poisons are. Even though you can’t (and definitely should not) eat this DIY blend, it isn’t as harmful as the chemical sprays available. 1. Empty half of the vinegar into a large mixing bowl. 2. Add the dish soap. 3. Stir in the salt. 4. Pour the mix into the spray bottle. 5. 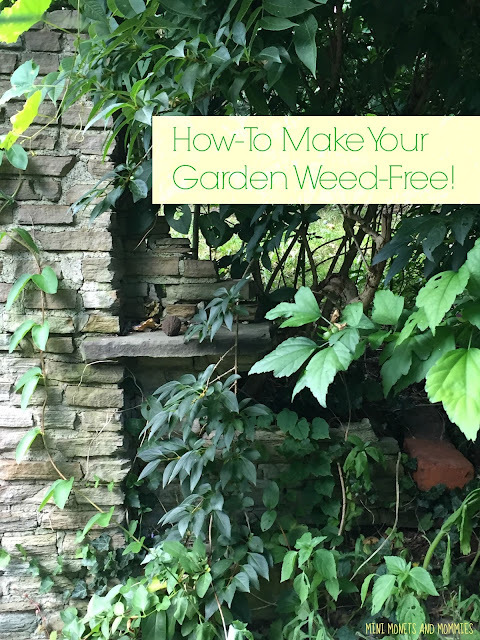 Spray the weeds thoroughly, drenching them all the way down to the ground. So, what happened when I sprayed on this magical stuff? First, let me say – don’t spray plants or grass that you want to keep. Don’t even spray near them. You will most likely kill these greens as well. Second, this spray really works! I was kind of surprised myself at how well it worked. Do you have a favorite DIY or natural solution to gardening or cleaning woes? Add your favorite idea in the comment section below!